Eva Freeman (above left) joined our Community Club Lambeth as a volunteer in October 2016, little did she know that one year later, she would be employed as a healthcare worker. After joining through the volunteer programme HeadStart delivered by The Challenge, Eva initially volunteered to complete the required hours to entitle her to a job interview and enhance her CV. However after completing the 16 hours, Eva continued to volunteer at Club Lambeth and in more specialist roles from one-on-one support to managing registration at our Community Club Sports Days and annual Summer Festivals. Her efforts were recognised by HeadStart with an invitation to their celebratory event at London's City Hall - spot her in the video below too! HeadStart - Celebrating 100,000 hours! Eva had no obligation to continue to volunteer but did so because she “began to build a special bond with each of the members I supported and enjoyed every minute whilst there.” Eva's passion for helping vulnerable people in society grew, so much so, it has proved to forge her career path. Eva has recently been employed by the reputable CRG Homecare as a care worker in a role that she feels is a natural progression. Though Eva plays an instrumental part for many of our members to be able to enjoy playing sport, it is clear the benefits have been two-way. Our members have enabled many of our volunteers and coaches to grow and develop. This is abundantly clear with Eva. Club Lambeth members helped teach Eva different skills that have helped her achieve her new employment status including communication, patience and empathy all integral for a specialist care role. Eva explains, “I am currently caring and supporting vulnerable adults for a living, all thanks to the skills and confidence I've gained from supporting those at Club Lambeth." Eva has enabled disabled people to do whatever they want, just like they have helped her to be whatever she wants. We wish Eva every success in her new healthcare role. 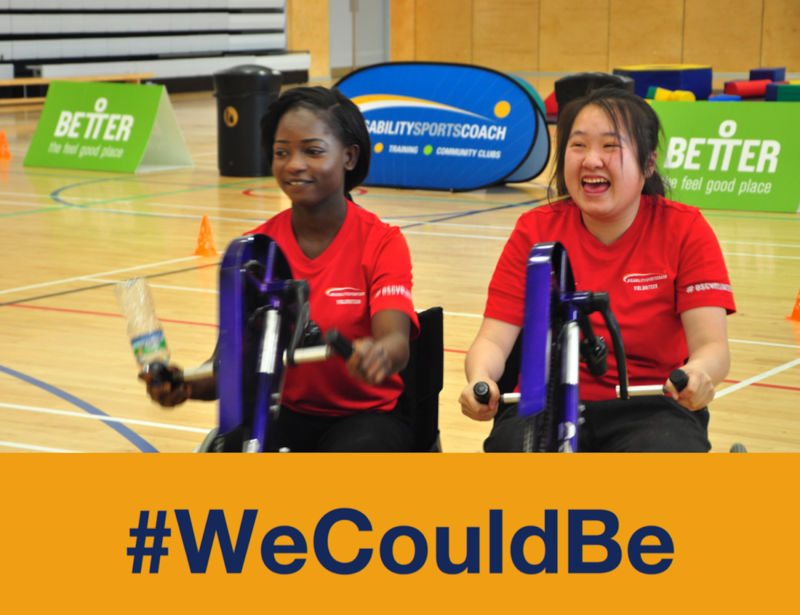 The #WeCouldBe campaign aims to celebrate success and raise awareness of achievements in disability sport. From grassroots participation to community engagement, we're showcasing how Disability Sports Coach ensures disabled people can fulfil their potential. Share Eva's story on Facebook, Twitter, Instagram or LinkedIn and ensure that inspiring stories go far and wide.